GREAT OUTDOOR SPACES! Imagine the possibilities as soon as you turn into the extra wide driveway. 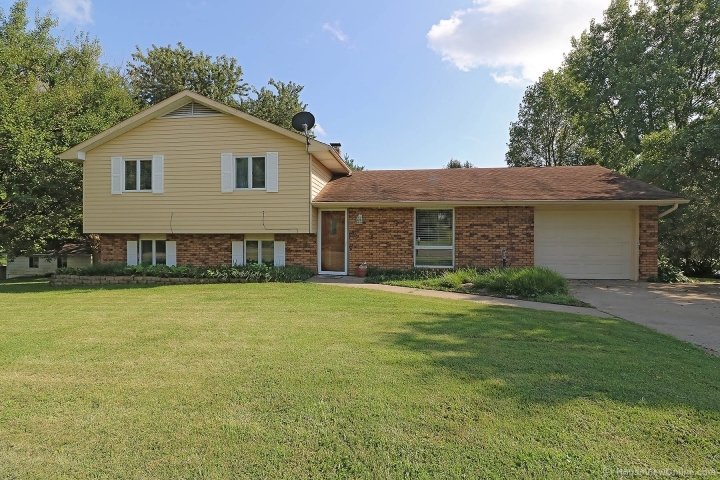 Situated on a double lot, this home has something for everyone. 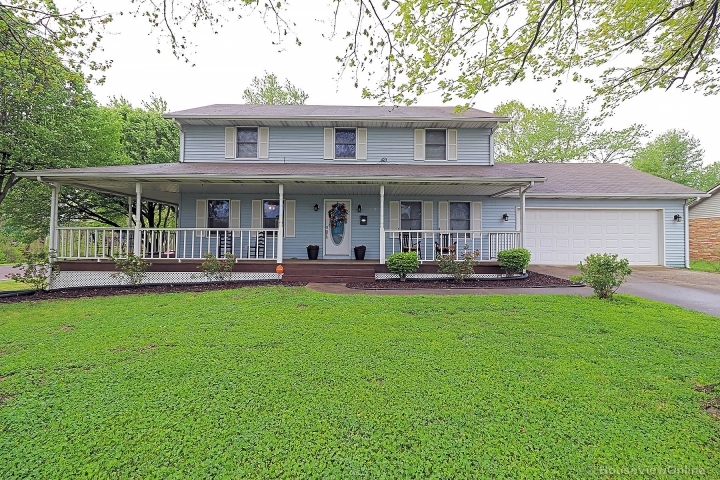 Tinkerers will appreciate the detached garage with separate driveway and electricity, while pleasure seekers will love the pool with surrounding deck and covered patio. Even your dog has a shady kennel in which to relax. There is more than enough room on this large, level lawn to enjoy some outdoor sports or to add a play set, hammock, fire pit, etc. Inside, a living room AND a family room offer room to spread out when you want space to do your own thing. Bedrooms are up a few steps, creating a sense of sanctuary and separation from the common rooms, which flow easily from one to the next. The dining room even has French doors with a lovely view across the vine covered pergola to the glimmering pool with deck surround. Two full bathrooms, including one just inside the backdoor, add to an already smart design.